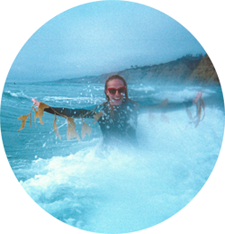 When I left Sayulita after a week's stay earlier this year, I had no idea when I'd be back. And I definitely didn't think I'd end up spending another week there only 9 months later. 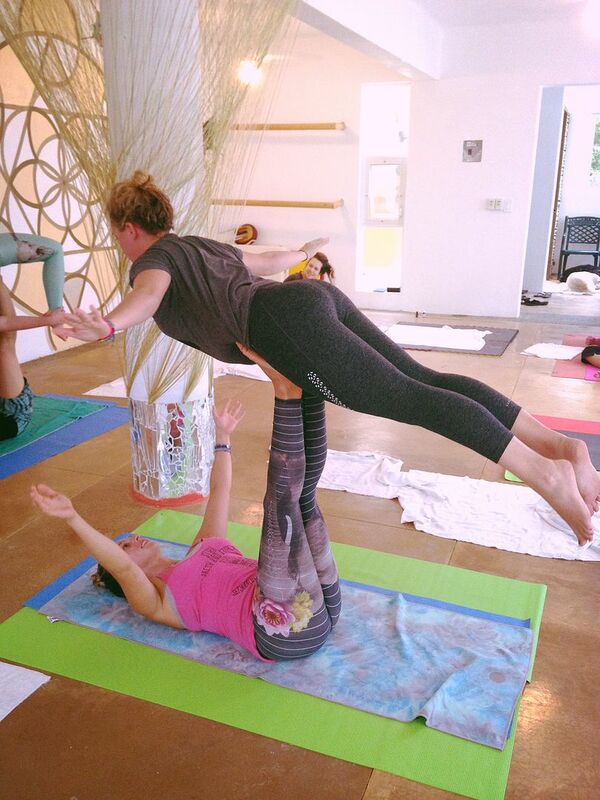 But that's exactly where I found myself two Saturdays ago: on the first day of a week-long yoga retreat right in Sayulita. 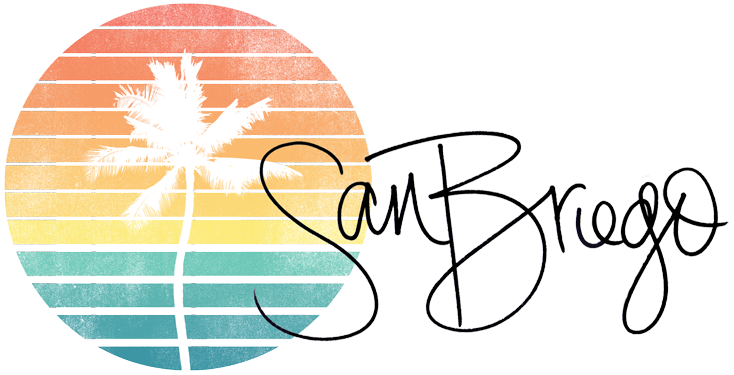 When Ryan and I went to Sayulita for our Valentine's Day vacation, we split our time between two hotels: Petit Hotel Hafa, right in the heart of town, and Playa Escondida, a resort that was a 10 minute drive from the town. And honestly, there were things about each place that we liked and things that we thought could have been better. For instance, at Hafa, the bustle of the town (and that damn gas truck) woke us up at the crack of dawn each morning, with no regard for our hangovers. And though Escondida had that relaxing resort feel, it was inconveniently far from town when we needed to head in for something. 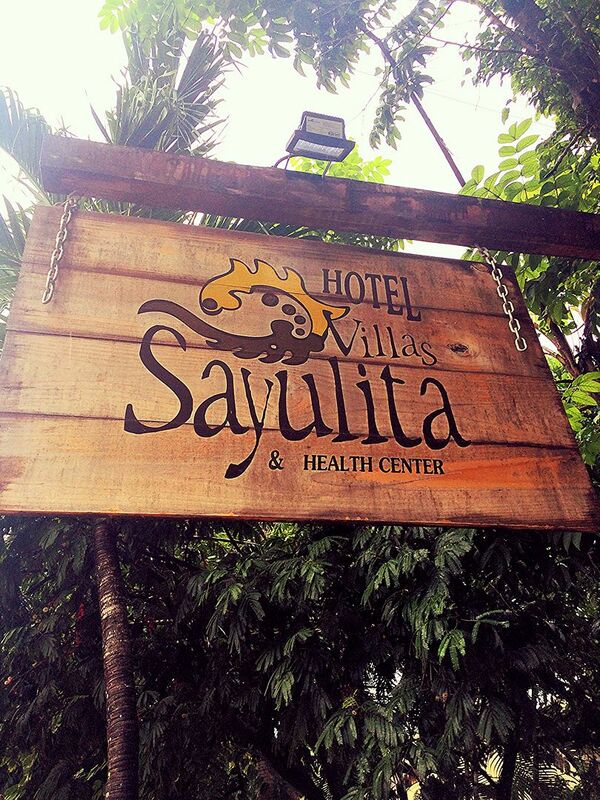 This time, during the week of the retreat, I stayed at the beautiful Villas Sayulita & Health Center, and honestly? This hotel combined the best of both worlds. Villas Sayulita is located on the right hand side when you enter town, before the bridge that takes you to the town center, also known as the Plaza. There are a number of benefits to staying on this side of the river. For one, the beach on this side is where the locals prefer to hang out: it's less crowded and there are no vendors approaching you every few minutes. Another bonus? It's quiet. Though it has a number of restaurants and one or two bars, this side of town is a lot more peaceful. And the best part? No gas truck! At least not that we could hear. 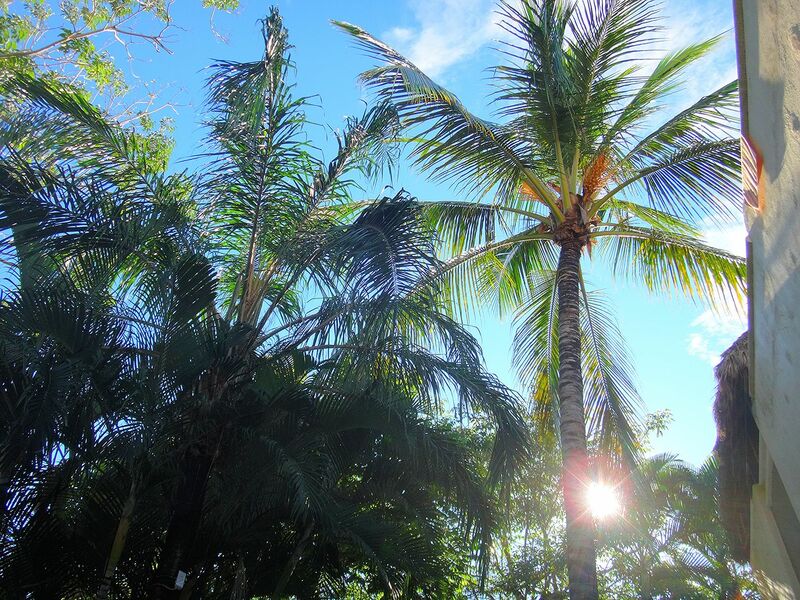 Hotel Villas Sayulita is tucked in amongst the palm trees at the top of a hill. In fact, the only sound that I could hear each morning from inside my room was the soft trickle of the waterfall in the hotel's serene pool. The room was huge, with two full size beds, one for me and one for my sweet retreat roommate, Amanda. Upon entering our little home for the week, I was surprised to find that we had a full kitchen as well. While Ryan and I had refrigerators in both of the hotels we stayed at last time, having this full kitchen set up (complete with a sink, countertop burners, blender and dishware), was a definite bonus in my book. This is great for travelers who want to try cooking with some of the fresh local produce, which I definitely hope to do next time we're in town. At night, the room stayed cool thanks to the AC unit. The room also had plenty of storage space, a purified water dispenser just outside, a strong and free WiFi signal, and fantastic maid service each day. Another perk? 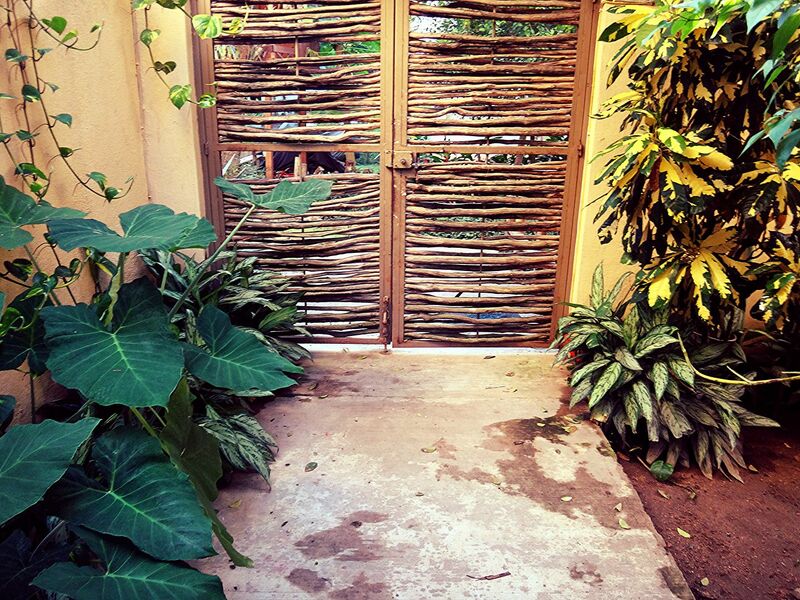 This was the first hotel in Sayulita that I've stayed in that had an actual bathroom door! Outside, our room opened up to the pool and had a little table and chair set outside where I spent a couple of the nights reading by our outdoor light, enjoying the glow of the water. 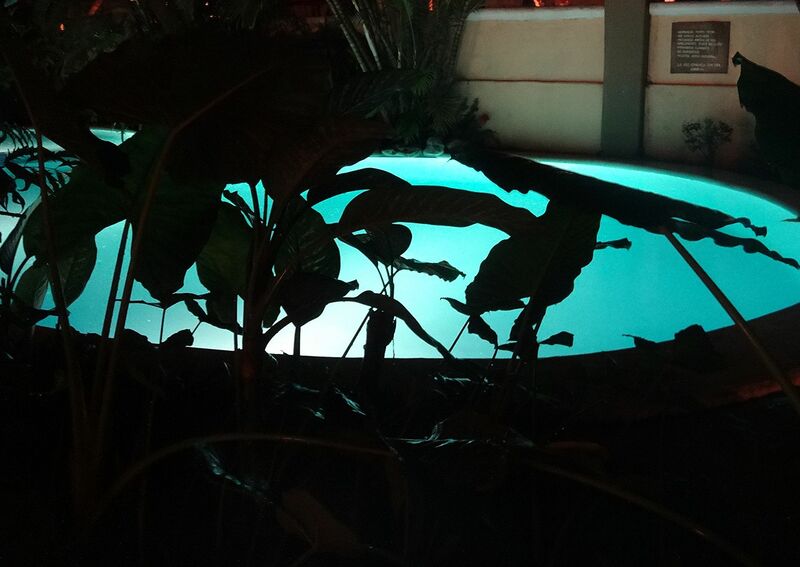 The pool itself was about 5 feet at its deepest and wonderfully refreshing after a day in town or at the beach. In addition to the pool and the wading area, there was an outdoor shower to rinse off with. Next to the pool, there were also a few surfboards and paddleboards that guests could rent for the short walk down to the beach. 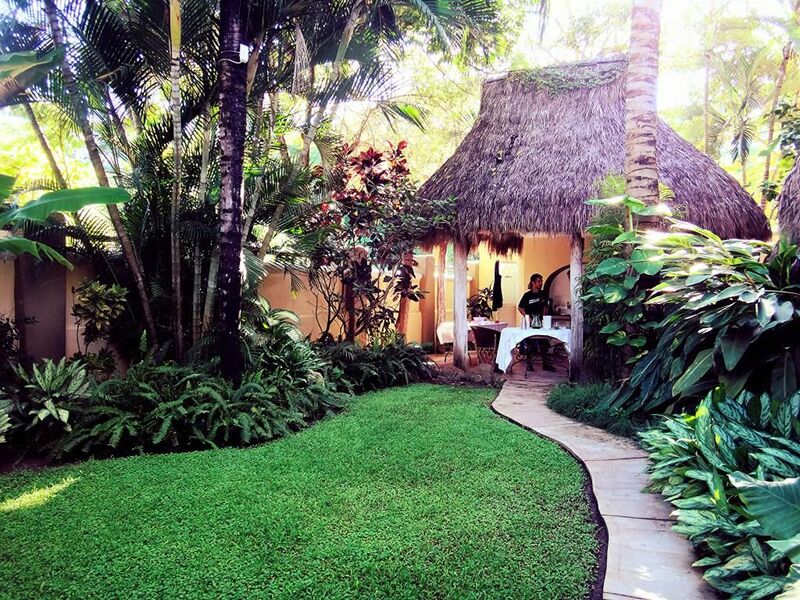 But two of the most special features of Villas Sayulita are its garden and health center. 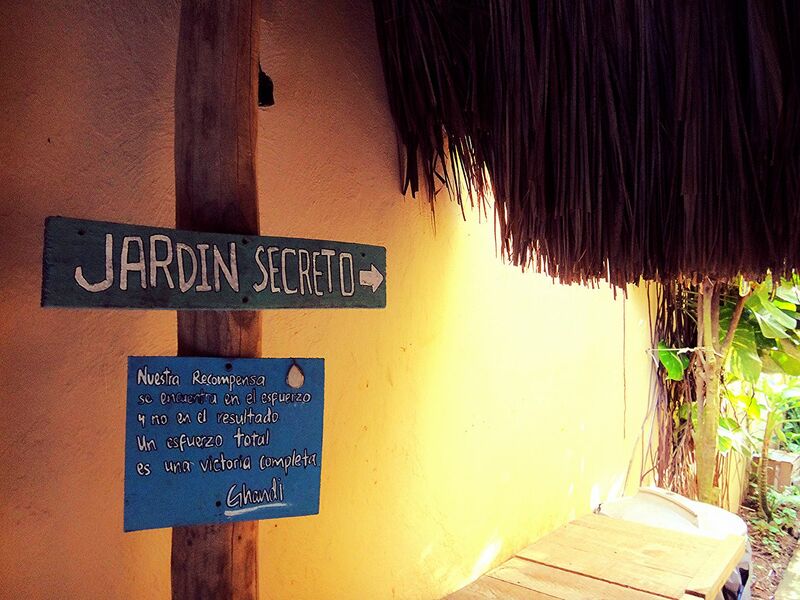 A path between Rooms 4 and 5 on the first floor leads to the "Jardin Secreto" and the Health Center or yoga studio. 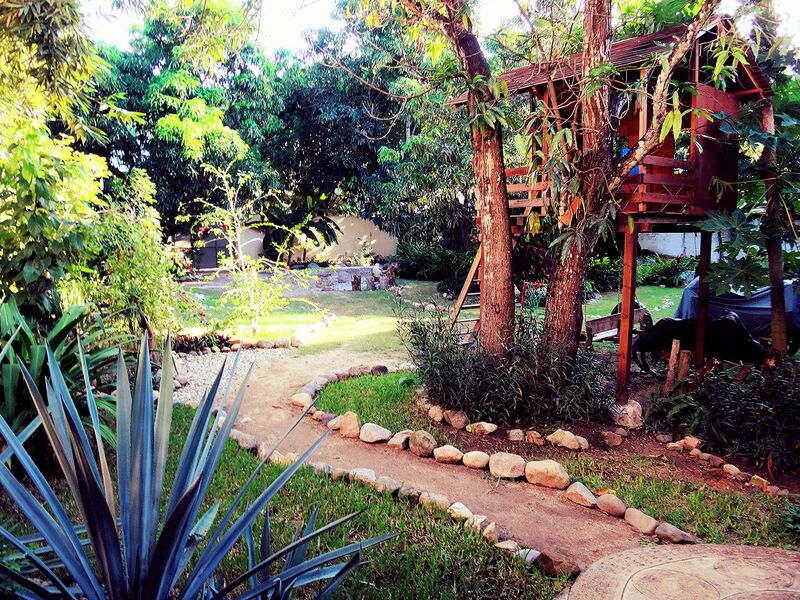 To the left, the garden features a bonfire pit, outdoor lighting, a treehouse, and an herb garden. Some locals chefs came and cooked for us there a few times on the retreat and it was absolutely magical. To the right, a staircase leads you to a bright yoga studio. There are cubby holes to store your things and mats and blocks available for your practice. Massage tables are stored here for a visiting masseuse and other healers that can be arranged with the hotel's staff. Between the amazing morning light the studio gets each day and the beautiful murals and artwork that adorn the walls, this is really a special place to practice. The final icing on the cake for this gem of a hotel? 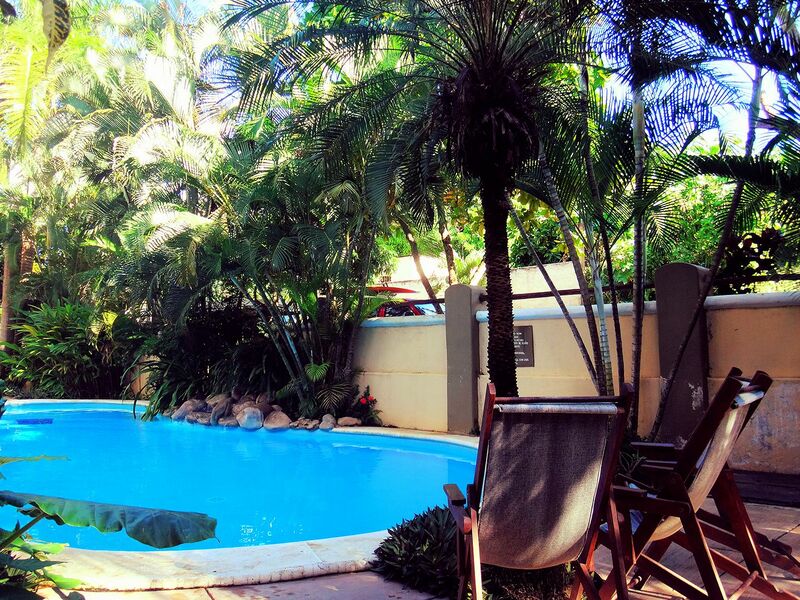 The hotel's manager Salim is a trusted resource for travelers. During our stay, he gave us plenty of recommendations and helped us with finding the right vendors for all of our needs in Sayulita. With a town as small as this, one can't underestimate the value of a local with a lot of strong relationships. Salim was friendly, accommodating and supremely knowledgeable about the town. 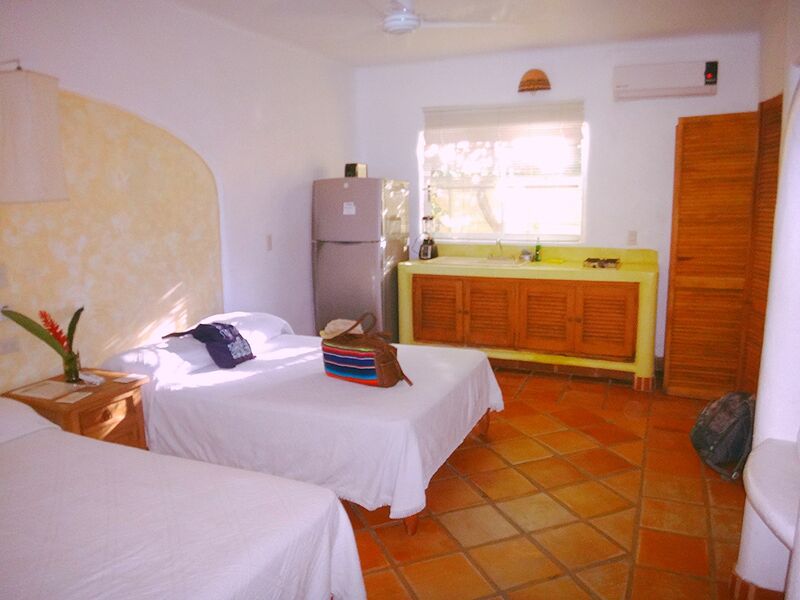 At around $130-150/night for the double rooms, Villas Sayulita has so far given me the best bang for my buck during my vacations to Sayulita. 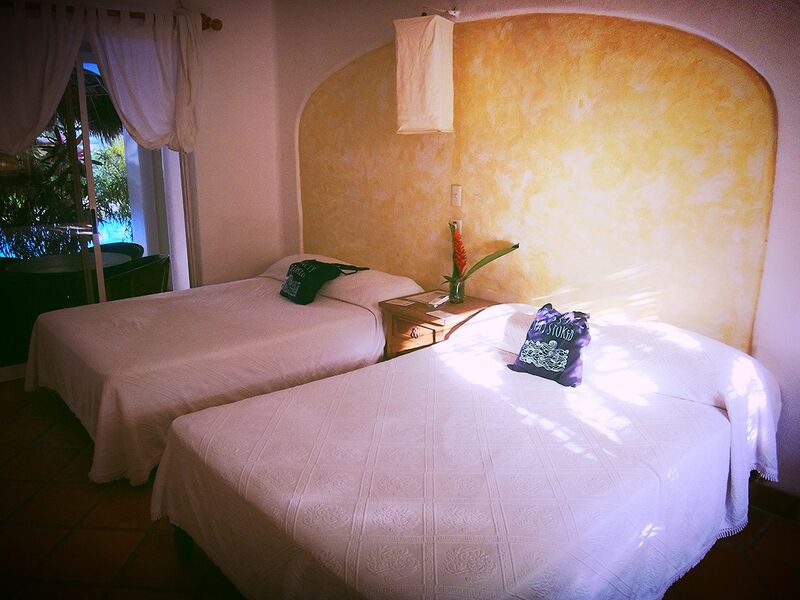 Only five minutes from the beach and a ten minute walk from the Plaza, Hotel Villas Sayulita is a wonderful place to stay when you want to get away from it all in Sayulita. Beautifully written, my friend! 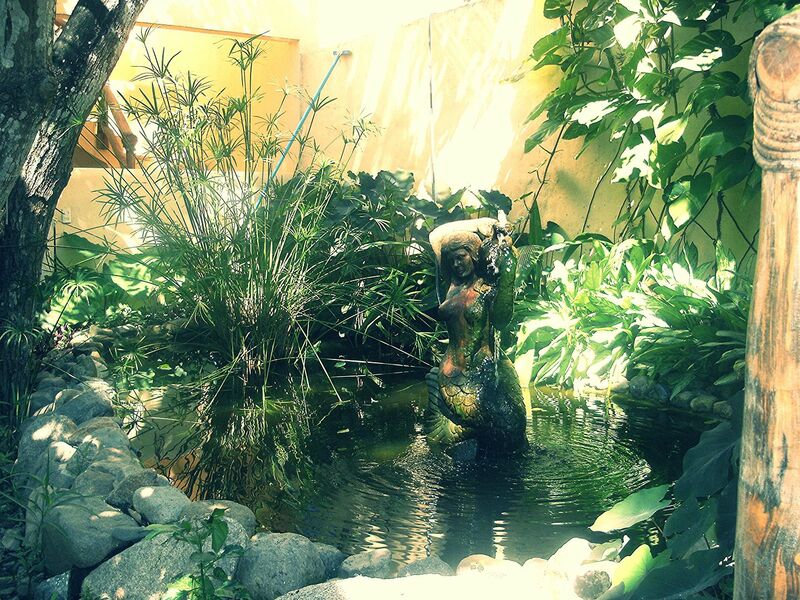 I loved villa sayulita. .. and meeting my new famous blogger friend, Sanbriego! Such a great review. The pictures are gorgeous! Miss you! Salim makes that place what it is.... he built that garden so beautifully.